The Northamptonshire Energy Saving Service (known as NESS) is a new 3 year project (2018 – 2021) helping address fuel poverty across Northamptonshire. 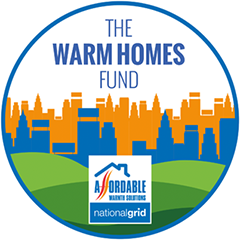 New funding has been secured from National Grid’s Warm Homes Fund to tackle fuel poverty across Northamptonshire. This will be achieved through a combination of energy advice, income maximisation and practical measures to improve the warmth of homes. A member of Advice UK, we are an independent advice agency providing specialist social welfare advice services. Our aim is to alleviate poverty, advance education and support financial and social inclusion through the provision of Social Welfare advice, casework, representation, training and consultancy services, currently in the fields of Welfare Benefits, Debt, Housing, Immigration and Fuel Poverty. We provide an end-to-end service to ensure the best possible outcome for clients. We deliver a range of services for local communities and have a diverse funding base with resources focused on supporting vulnerable client groups through a mixed model of service delivery aimed at promoting equality of access to our services. Welfare Benefits advice, income maximisation, managing debt and financial capability support, homelessness prevention and tackling fuel poverty are key service activities. We have well developed partnerships and referral arrangements in place with a wide range of agencies across Northamptonshire. CASCK is a charity and a member of Citizens Advice. We provide a generalist and holistic information and casework advice service in the Boroughs of Corby and Kettering. We help people resolve their problems and endeavour to influence policy makers based on our clients’ experiences. We pride ourselves on delivering high quality advice when people need our help. Our service is independent and provides free, confidential and impartial advice to everybody regardless of race, gender, disability, sexual orientation, religion, age or nationality. Our service offers a casework service in the areas of Benefits, Debt and Housing and generalist in Consumer, Employment, Immigration and Family & Personal. We can also offer representation at disability appeal tribunals. We work in partnership with other organisations, both statutory and voluntary to ensure our clients can find a positive way forward. Care & Repair Northamptonshire is an independent charitable home improvement agency which has provided support to vulnerable householders across Northamptonshire for over 30 years. Our overall aim is to enable those we support to remain independent in their own homes by carrying out measures to help keep them safe, warm and secure. Our services can have a positive impact on health, helping empower people to remain independent and promoting feelings of choice and wellbeing. To achieve our aims we offer a comprehensive range of home improvements and repairs including handyman, electrics, plumbing, home security, home warmth measures, falls prevention, disability adaptations, fencing and gating. We are registered with NCC Trading Standards and employ our own team of skilled technicians who are all DBS checked, wear uniform and carry ID. snvb is the Local Infrastructure Organisation (LIO) supporting the voluntary and community sector in South Northamptonshire. snvb was formed in 1993 and is a registered charity and a company limited by guarantee, and managed by a board of trustees composed of representatives of local voluntary and statutory organisations and volunteers. As a Volunteer England Accredited Local Volunteer Development Agency the organisation promotes volunteering and works with individuals and organisations helping them to get the most out of volunteering. Within the NESS project, snvb leads on the Energy Comparison Reviews for clients, as well as using its unique outreach vehicle to build the visibility of NESS across the county and connect with clients in many communities. The vehicle is equipped with a confidential meeting room, internet access, laptop and wi-fi printer. To book an appointment or for any questions please complete the short form below.